Tynwald is claimed to be the oldest parliament in the world with unbroken tradition behind it. For one thousand years there have been Twenty-Four Keys, the elected members of the Manx parliament. Clearly where the Isle of Man led, the world followed, since most countries now have an elected parliament! It was in the year 1422 that the Keys themselves explained (in the famous Declaration of the Manx Constitution) how that number had arisen: "those (the Keys) were Twenty-Four Freeholders, namely Eight in the Out Isles and Sixteen in your Land of Mann—and that was in King Orry’s Days." 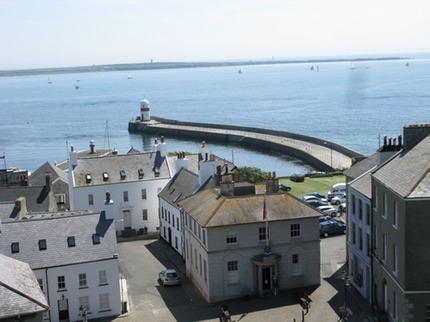 Many centuries have elapsed since the Eight Keysmen from the Isles steered their galleys south each midsummer to attend the King’s court at Tynwald. Nevertheless their places have been retained, so that to this day one-third of the members of the House of Keys really represent the original Hebridean element in our constitution. One of the great events of history occurred at the end of the first millennium of the Christian era when the Vikings, in their longboats invaded the Western seaboard of Europe. As stepping-stones on their journey they found the Hebrides and the Isle of Man. Here they first conquered and then settled and established their unique form of Government based on the principle of freemen knowing the law and observing it. Such laws as were enacted were proclaimed to the public at large on occasions like Pagan feast days like the Summer Solstice. 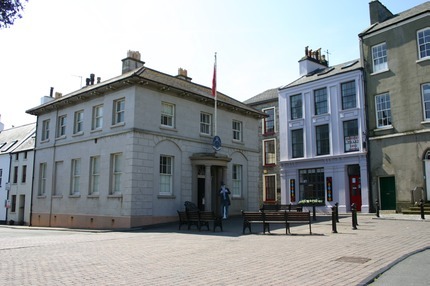 A tradition that has lasted until today, since Tynwald still holds its open air meeting to promulgate the laws enacted during the preceding year and this ceremony is held at the parliament field at St. John’s on the 5th July each year. It is interesting to note that vestiges of this parliament field (in old Norse Thing Vollr) remain in Scandinavia and Scotland. However, as the name indicates, in Tynwald, the Parliament of the Isle of Man, there has existed a type of popular Government that has preceded that found in the Anglo-Saxon world or indeed the Norman development at Westminster which claims to be the mother of all Parliaments. In the earlier days, Tynwald acted more in a judicial than legislative capacity but with the development of democratic government there gradually evolved a unique type of legislature, in effect, "tri-cameral". The two Branches of Tynwald, the Legislative Council and the House of Keys, now sit separately to pass, in three readings Bills which are then submitted for Royal Assent. 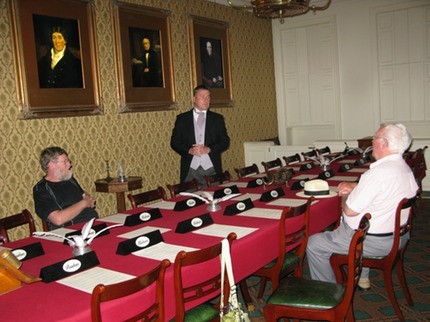 Unlike the British Parliament the legislators of the Island continue to assemble jointly, generally monthly, in what is still called the High Court of Tynwald to transact the financial and administrative business of the Island, levying taxes, voting money and declaring Manx Government policy. Having just had a general election in November, (the Manx Parliament has a fixed five year term of office - unlike the British Parliament), the Manx Parliament is getting down to work, and amongst their number is a Qualtrough descendant, John David Qualtrough Cannan. David Cannan was first elected to the House of Keys in 1982. A short note about Mr. Cannan will appear in a further article which is a sequel to the article on "Ned Beg and Joe Bill Joe." It is interesting to note that at the very first parliament at which members names were recorded, and of which records have survived, there was a Qualtrough present. He was Jenkin McQualtrough. It would be interesting to know to which family Jenkin belonged. We know very little about him other than he was a member of the House of Keys, and as such must have been a substantial landowner at the time. One thing we can be sure about is the fact that since the first sitting of earliest recorded Manx Parliament members of the Qualtrough family have played their part in providing public service to their community and let is hope, will continue to do so for the next one thousand years!